Corporate relocation companies specialize in helping businesses get their employees transferred or hired in a new location. As a corporate relocation company with over fifty years of experienced in moving employees, we’ve grown to know the art of negotiation. If you are in the running for a new job opportunity, promotion or transfer, its important that you know the power is in your hands. Corporate relocation companies like ours have seen employees like you utilize this transition period to negotiate new terms of their employment. So why not you? Here’s the scoop to maximizing the opportunities your employer has for you. Whether you are relocating for a new job or a new position at your current company, it’s going to cost you. Therefore, it is reasonable to assume that your employer will invest in helping ease the financial burden of the move. Corporate relocation companies are often paid and contracted by the employer. Once an employer finds a reliable corporate moving company that executes the job well, they tend to stick with that corporate mover and use them for all their employee relocation needs. Asking your future or current employer about relocation assistance should definitely be a part of the negotiation as you accept a new job. If an employer is willing to relocate you, it means you have exceptional value to offer. Remember this as you discuss compensation. Even if you have the opportunity to move to an exciting city, you are still making a huge adjustment to your lifestyle. Corporate relocation companies know that any time you move you are making huge sacrifices. Not to mention your family and the things you’ll have to leave behind. Accepting this job tells your employer you are serious about your commitment to the company. It makes sense to be compensated fairly for your sacrifice. It may help to do some research about the median salary for your type of work. Websites such as Glassdoor have this type of information to help you gain a better understanding of the typical salary paid in your state. The benefits package can make or break a deal when it comes to taking a promotion or accepting a new job. If you are considering moving and have two or opportunities, comparing benefits is a great way to make your final decision. It is becoming more clear with research, that employees who have a healthy and balanced lifestyle are more productive. This is something smart employers will not only value but want to invest in. And corporate relocation companies are starting to see employers go beyond basics like health care and 401K’s to include things like free gym memberships, wardrobe compensation and more. Talk to your HR department about what the benefits are and make sure all the necessities are included. The idea of negotiating your start date is the tip from the corporate relocation companies that is most often forgotten. A new employer may be eager to bring you on board, but don’t think you have to move so fast. While it is important to show your commitment to the position, you also need to get your life squared away. Unfortunately, this doesn’t happen overnight. You owe it to yourself and your family to ensure you have time to make the necessary arrangements for the move. Trust us, you can’t devote yourself to new responsibilities if you are stressed out and juggling too many tasks at home. Most reasonable employers will understand you need time for this transition. Now the question is: How much time do you need. Corporate relocation companies recommend at least 1 month to execute the move if it is in the same state or 8 weeks for a long distance move. Here’s the negotiation tip from corporate relocation companies that most people find totally awkward: severance pay. 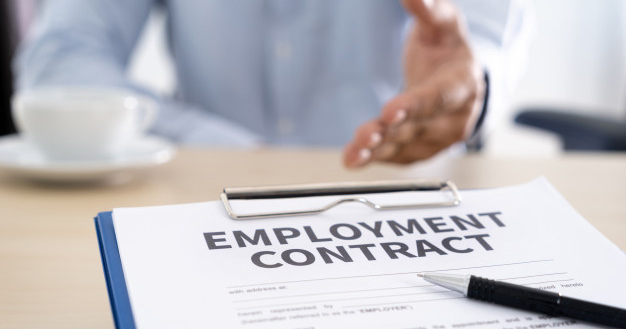 While some employers may have already established a severance pay package, you’ll want to make sure there is some type of agreement. Afterall, you are giving up life as you know it to move for this employer. It’s good to know what the outcome will ultimately be for you if things don’t work out. Furthermore, although it may seem like discussing a termination is a bad way to start, most reasonable employers will value your long-term thinking. Now that you’ve got the confidence to negotiate, practice your firm handshake and enjoy your new job. When you are ready to make the big move, give us a call and speak with a corporate relocation professional who can answer all your questions.